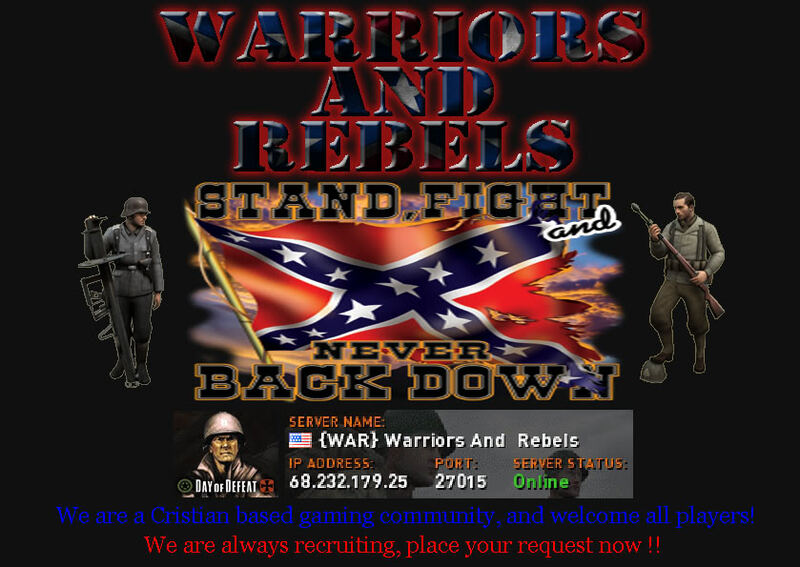 Warriors And Rebels is a Day of Defeat Community playing a third person shooter game enjoying the fun of making new friends and hanging out with old ones in the game. » Banned for no reason? » Please tell me why I got banned ?